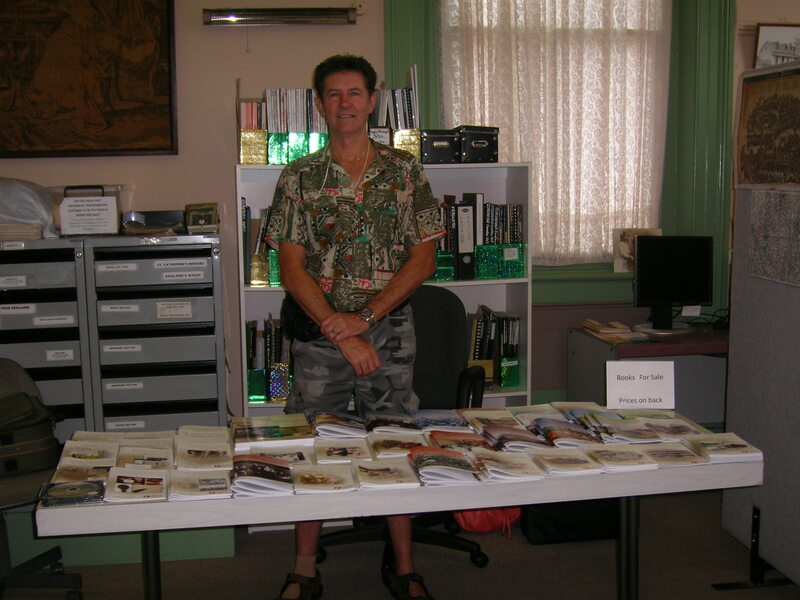 At the weekend I traveled to Maryborough (QLD) to give three presentations to the Maryborough Family Heritage Research Institute. I don’t normally report on seminars where I am the only speaker but I think there are some wider lessons here for other genealogy and family history societies. 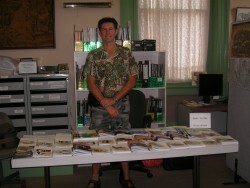 The seminar was originally organised for a weekend in February but Cyclone Marcia was threatening the Queensland coast and the seminar was moved to 11 April. Whenever you reschedule an event, there will always be other things that change as well. The new date didn’t suit everyone and attendance was a little down on what it might have been. The original venue was no longer available and a new one had to be found. So everything was reorganised and we traveled up on Saturday. We had given ourselves plenty of time in case traffic on the highway was heavy and about a half hour out of Maryborough, there was a four car pile up in front of us and traffic came to a stand still, both sides of the highway. Some cars started to turn around and take a turn off just behind us so we followed them and eventually came out on the highway again in front of the accident. Both sides of the highway were still closed and we passed all the emergency vehicles heading to the accident scene. We made it into Maryborough on time but the accident highlighted the need to have some sort of back up plan in case your speaker doesn’t arrive on time. 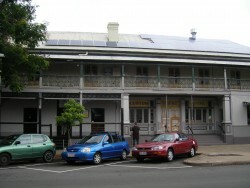 The next hurdle was that there was a mix up with the new venue, the heritage listed Customs House Hotel and we could not use it. So we had to do some quick rearrangement of furniture and displays in the Research Institute to make room for the seminar. 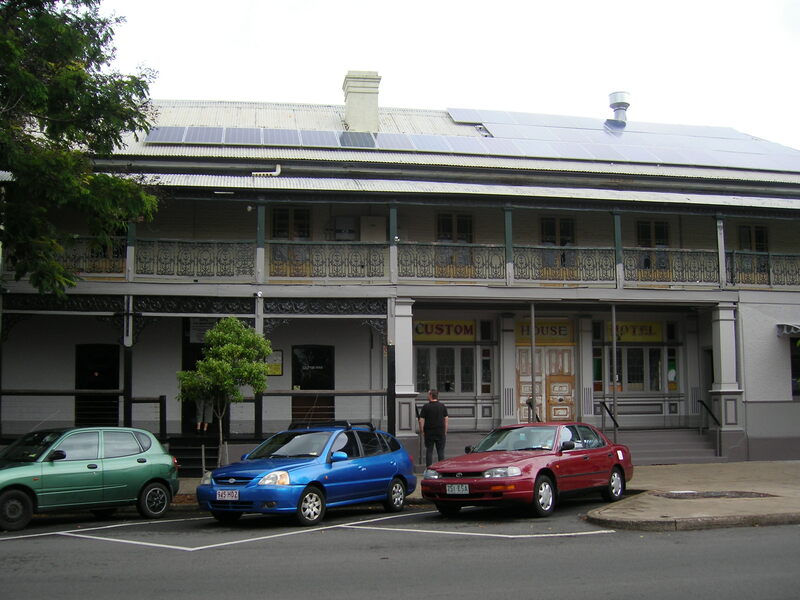 Luckily it is located across the road from the hotel and also in the heritage precinct. Attendees were a little more closely seated and I was a bit distant from both the screen and the laptop but we managed. As usual my three presentations on Asylums, Google for Genealogy and It’s Not All Online are on my website Resources page and scroll down to Presentations. There were lots of questions and feedback over afternoon tea and at the end of the day which was all positive. Many people thanked me for coming up and talking for that long, although my voice did start to give out towards the end of the third talk. 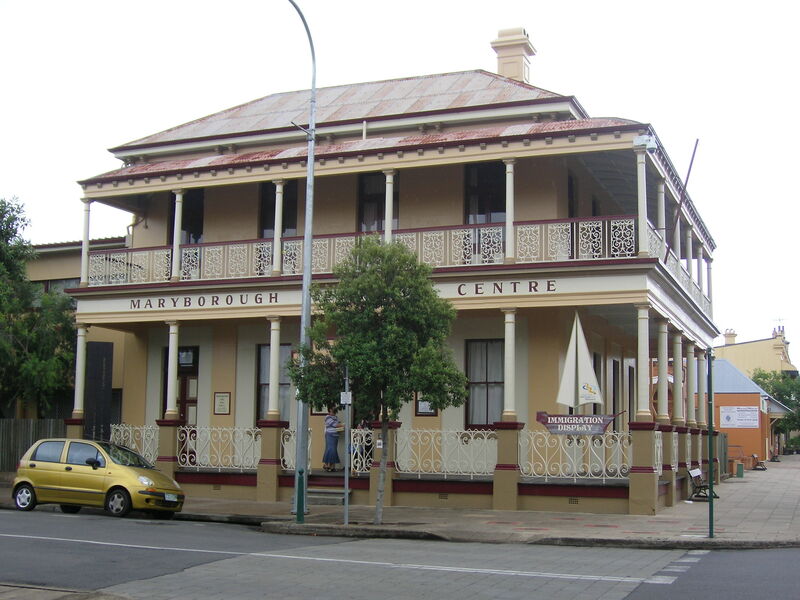 Everyone said they had learnt new things and I was excited to know that the Maryborough District Family History Society has been doing blogging activities with its members. At the end of the third session, we were joking about intense genealogy sessions and the question of genealogy cruising came up. I was asked quite a few questions on what cruising with Unlock the Past genealogy cruises is like and my stock answer is that it is the same as a genealogy conference except you don’t have to worry about getting there each day and you don’t have to do any cooking or cleaning. Just pure genealogy with some great speakers unless you are tempted by the ship’s other delights. Like all country seminars, afternoon tea was a delight with home made sandwiches, cakes and slices. There were lots of conversations and people also took the time to check out the huge range of Unlock the Past publications we had on display and for sale. While people can buy online, many also like to look at publications before buying them to see what is really inside and whether or not it will help their research. It was good to see Max behind the sales table again after his broken leg as I really can’t do sales and answer questions at the same time. The other thing I can’t do is travel this distance and do three talks at my own expense. Societies do need to think about paying for speakers to travel to them as a benefit to their members. Expenses can be airfares, petrol, accommodation, meals, speaker fees (for their time) and any other out of pocket expenses. This is especially so for societies in more rural and regional areas which take longer to get to. 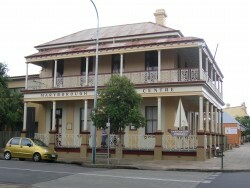 In this instance Maryborough Family Heritage Research Institute only charged a very modest $10 per person for an afternoon of three presentations and this included the spectacular afternoon tea. Given the reduced numbers attending, I’m not sure if they ended up covering their total costs but they also had a raffle so it was probably close to being self funding. But even if it wasn’t, the benefits their members and other attendees got from the afternoon was probably greater than just having the money sit in the society’s bank account. I am sure that there are speakers in larger cities who are prepared to travel and speak to societies if their expenses are covered. Maryborough’s $10 entry was great value and people may be prepared to pay a little more if it means having access to some of the great genealogy speakers we have in Australia. It does take time and energy to organise events but it’s not something you do every week. Societies often complain that their membership numbers are declining, well why not start offering your members seminars with interesting and different speakers. You may even attract new members or new users to your research library. National Family History Month is coming up in August. Has your society got anything planned yet? You can rebadge your monthly meeting and your library open days as NFHM events and enter them into the NFHM web calendar. Or you might even consider organising a seminar? 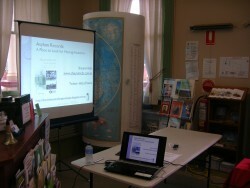 Many thanks to Kay and the Maryborough Family Heritage Research Institute for inviting me to speak to them. I first gave a genealogy talk in Maryborough in the early 1980s and it is wonderful that they are still inviting me 30 years later! Friends made at a genealogy event are friends for life and that is another great reason why societies should hold seminars from time to time. Great post Shauna. Lots of things in it that Societies need to think about. Excellent points for small groups to consider. Venues can certainly provide quite a challenge. As always thanks for providing all your material online. Thanks Alona and Carmel for your comments. Societies can learn lots from bringing new speakers in to their meetings or seminars.